The annual trade exhibition for beauty industry in Indochina region once again brings together brands, products, technologies and services from around the world as a preview for importers, distributors and professionals in the beauty industry from the Indochina region, especially Vietnam. COSMOBEAUTÉ VIETNAM 2018 – The largest Beauty Trade Exhibition in Vietnam happened on the 19th – 21st April 2018 in SECC (Saigon Exhibition & Convention Center (CECC), Ho Chi Minh City. 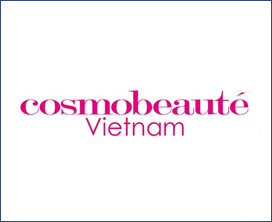 Cosmobeauté Vietnam achieved big success this year and it has proved itself again as the most reliable and trustable business platform. With number of 165 exhibitors, 4 country pavilions, 12 exhibiting countries, 318 number of brands and this exhibition has attracted an outstanding amount of trade visitors with the number of 13328. The opening ceremony of Cosmobeauté Vietnam 2017 was successfully officiated with the presence of Mr. CP Saw, Mr. Vinh, Bà Bùi Thị Thanh An, Ông Nguyễn Quang Huy, Ông Nguyễn Đình Anh, Bà Nguyễn Thị Ngọc Yến, Mr Yoon Jooyoung, Ms Koh Chong Yu, Mr. Faizal Izany Mastor, Mr. Carlos Dominguez, Mr. Roberto Cajati. Most of them are from the local government bodies, associations and also the founder of Cosmobeauté.